In the quest to uncover destinations for spending unforgettable holiday moments all year round, the journey takes us to Greece once again. Greece has been associated with wonderful summer holidays, however, it is a place that has a lot to offer, all year round. 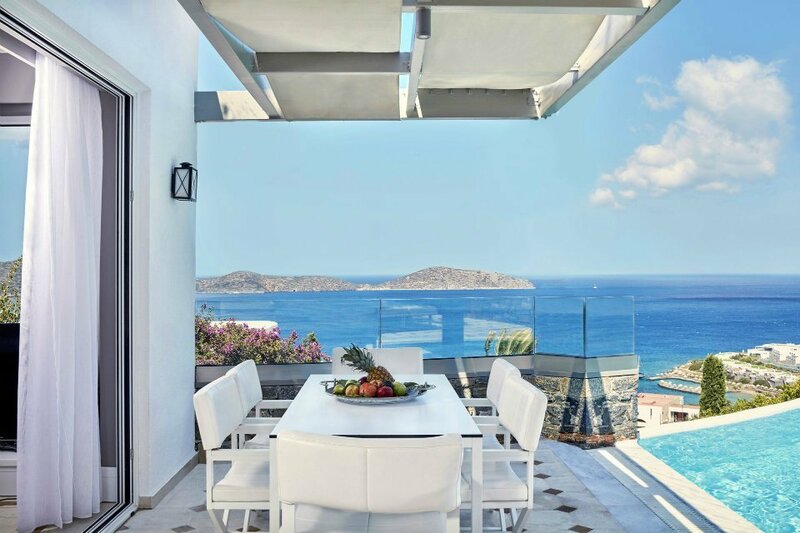 The mild Mediterranean climate it enjoys allows for it to have a long visiting season, so Spring through to Autumn benefit from the pre and post summer aura of Greek destinations. Considering a visit to Greece off peak summer, that is, not during July and August, may prove very rewarding as you get to avoid most of the crowds and high prices. Although islands are often more readily accessible during summer, there are some that have connections throughout other months too, while a few mainland destinations are also sensational during all months if you give them a chance. Therefore, here are 2 mainland plus 2 island destinations for a year round holiday in Greece. If you have visited Greece before, chances are you will have passed through Athens first. Athens city however deserves more than a simple stop over. An ancient city that carries centuries of history on its shoulders, is brimming with marvelous monuments, temples, and traces of its ancestral communities that is bound to enchant any visitor. A city that is glorious during the warm months, and highly pleasant in the colder ones, Athens promises the visitor awe inspiring visuals and sightseeing, the majority of which can be discovered by a casual stroll around the Acropolis. Few other capital cities can boast this kind of efficacy when it comes to admiring all the important landmarks that not only define its character, but also set it apart from the rest. Staying in the heart of the historic part of the city, places the visitor in the crux of it all, meaning you will not even have to use any other method of transport apart from your feet. 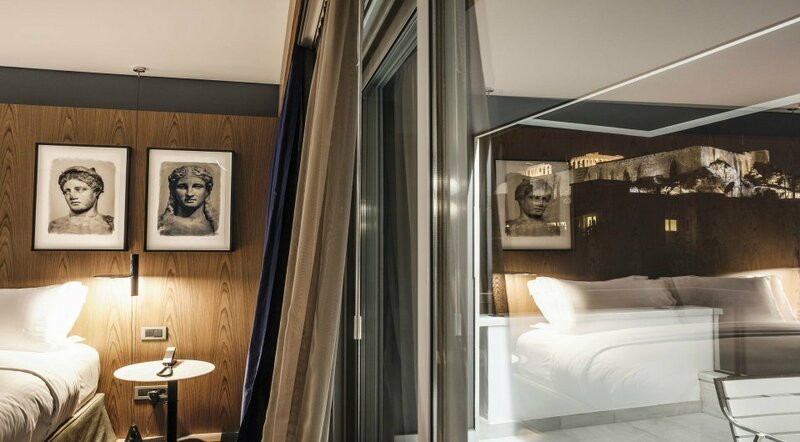 Even better is choosing an Acropolis view suite from which you can enjoy the magnificent Acropolis monument from the moment you wake until the moment you fall asleep. As for things to do during the night, Athens city is a vibrant place to be with a plethora of cocktail and dive bars, quaint cafes, quality tavernas, bistros, fine dining restaurants. Athens has a number of neighbourhoods that make up the historic centre and each has its own flair. Koukaki, Thissio, Monastiraki, Plaka and Psyrri are located on the perimeter of the Acropolis and can accessed by foot, following the pedestrian Dionysiou Areopagitou street that surrounds the Acropolis. Evia is essentially a destination accessed via the mainland, located a few hours drive from Athens towards the East. It is technically considered an island, however, it can be reached by land for the most part and then by crossing a narrow strait of water by way of boat that can carry cars. Edipsos, which is in the south part of Evia, is where you will find the historic thermal springs that have been treating and pampering visitors for centuries. 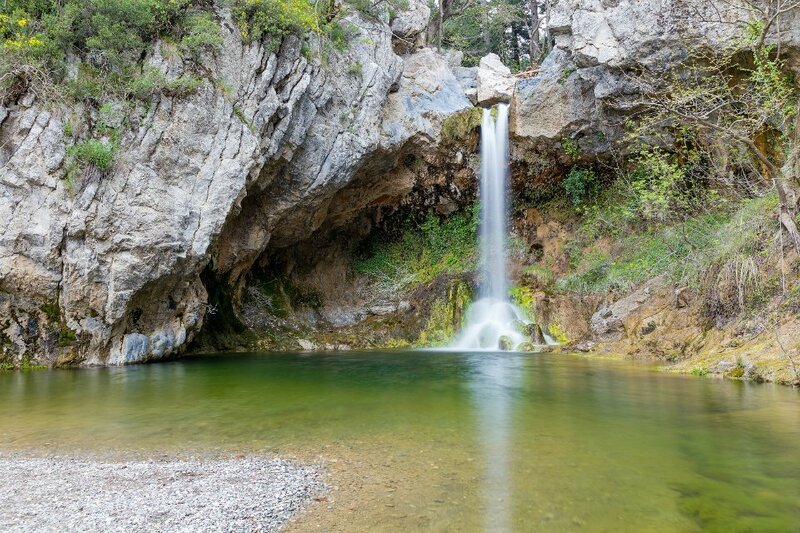 Known for their remedial properties since the ancient times, the natural thermal springs in Evia have been a hotspot for wellness, relaxation and tranquility. 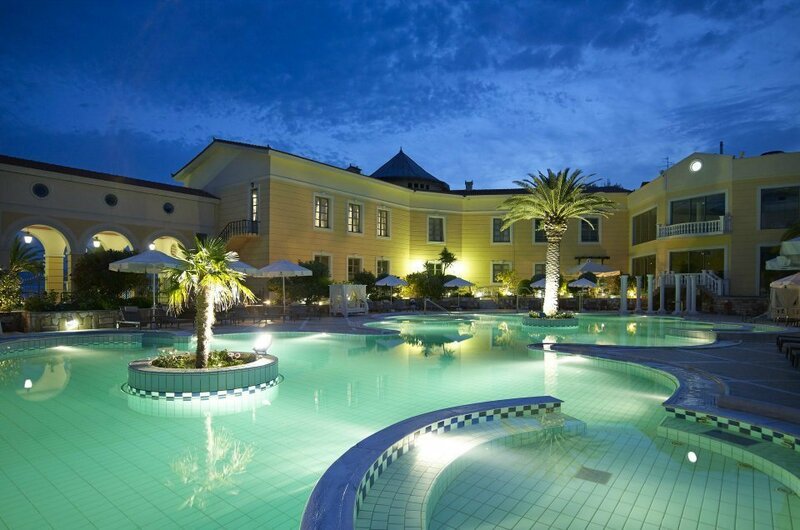 Choosing a thermal wellness holiday in Evia takes you the best thermal spa resort of Greece, where a number of spa treatments and therapies are available, guaranteed to help you boost your wellbeing, all year round. Especially during the winter, there is nothing more exciting than being able to soak in a natural thermal pool, that gives your body all the minerals and element traces it needs to regain its balance and harmony. From rehabilitation and injury restoration to anti-stress, weight loss, detox sessions and much more, your wellness goals are easily achieved here since the destination has a long standing tradition in providing such services. Combining your stay with a healthy diet is sure to further enhance your efforts and will introduce you to some of Greece’s renowned dishes, with quality ingredients that bring out the goodness in recipes. 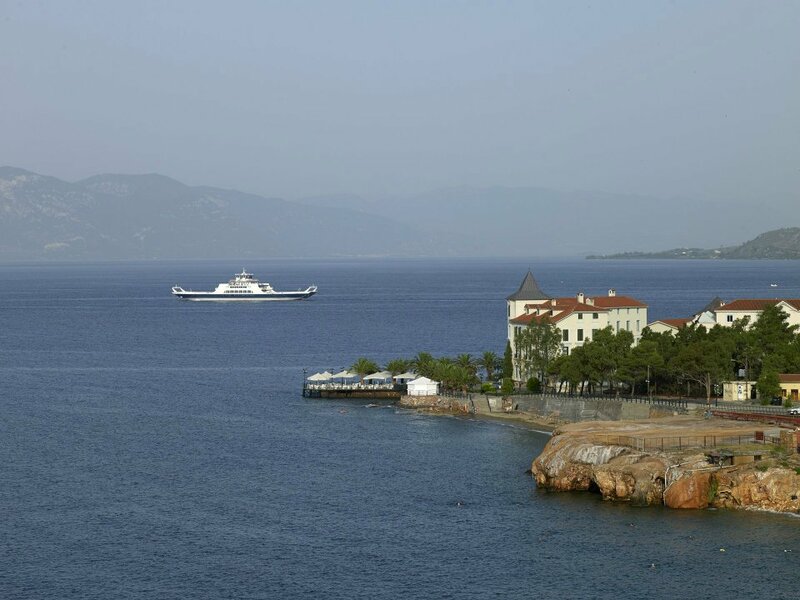 A consummately beautiful place overall, Evia has a lot to offer the visitor. Striking beaches, immense natural beauty that also includes some waterfalls, as well as some archaeological sites and cultural landmarks are also nearby, so onward exploration by car is highly encouraged. To the west of mainland Greece lies the gorgeous Ionian sea, typically more azure than the deep blue of the Aegean, the islands of the Ionian are blessed with some close to tropical features. Turquoise shores and fine sand beaches are a regular occurrence in this side of Greek destinations. Of all the islands in the Ionian, Corfu stands out and is often called the Emerald Lady. Green landscapes that topple down onto crystalline shores make up the ‘emerald’ part while the rich history of Corfu has gained it its ‘lady’ status. Corfu has seen many sieges in its day with each leaving a permanent mark on it. 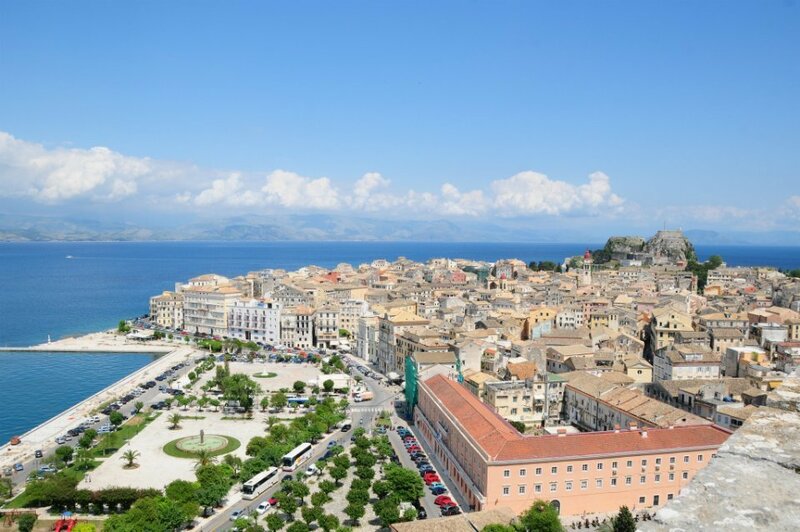 Corfu Town especially is bursting with historic relics that span many centuries. 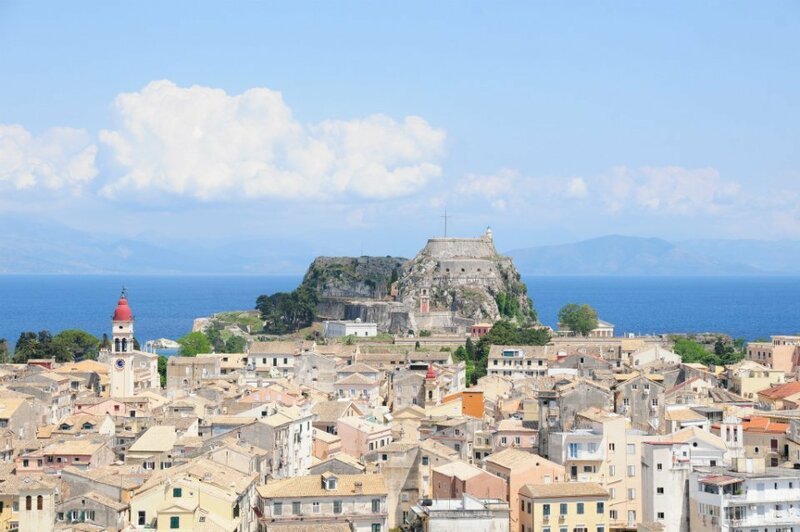 Byzantine, Venetian, Ottoman, French and British rule have all contributed to intriguing and varied cultural tapestry that makes Corfu so aristocratic. Fortresses and fortifications, medieval cobblestones, palaces, mansions, estate residences, arcades, churches and temples are located throughout the old town, each being a marvelous site that will take visitors on a journey through time. 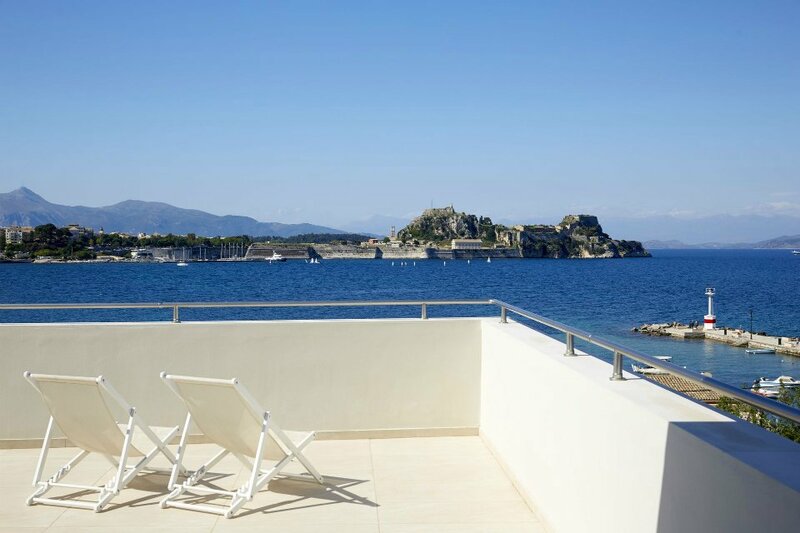 If you want to stay in a place that has been fully inspired by the aristocratic glamour of the island, then opt for the adults only Corfu Town hotel that surrounds its guests in exemplar levels of elegance. 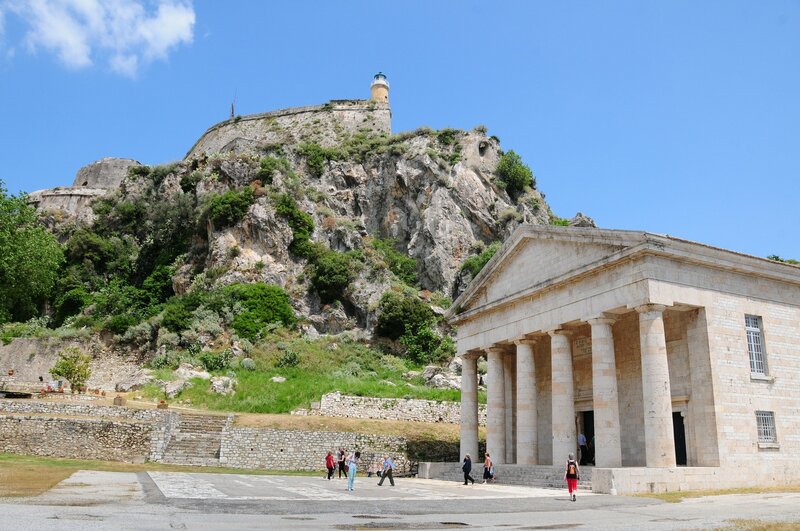 An island that is not restricted by seasonal tourism, Corfu has its own local population and visitors all year round. Winters are especially beautiful here, and there are plenty things even if sunbathing is not one of them. Being the largest of the Greek islands, Crete is the most diverse, the most autonomous and most interesting place to visit. With four main prefectures, Heraklion, Chania, Rethymno and Lassithi, Crete is vast with countless places of extreme natural beauty. The prefectures conveniently split the island into four distinct areas, vertically, so each prefecture has both a north and south coast to boast about. During the summer, there are many incredible beaches to discover, both on the north and south coast. In fact, you cannot visit them all even in an entire summer, it is simply not possible. 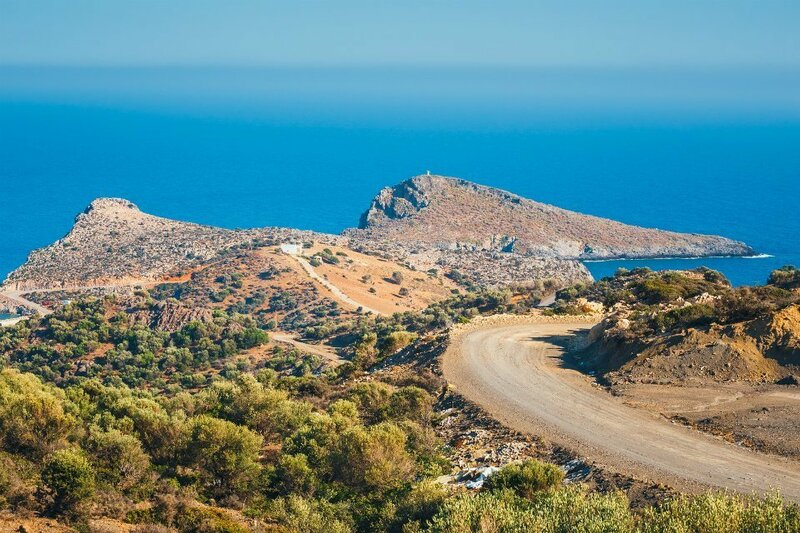 Some of the most iconic ones are Balos and Falasarna in Chania, Elounda and Vai in Lassithi, Preveli and Plakias in Rethymnon, Matala and Malia in Heraklion, among others. It is, therefore, a good idea to choose one prefecture at a time, and explore it by car as much as possible. 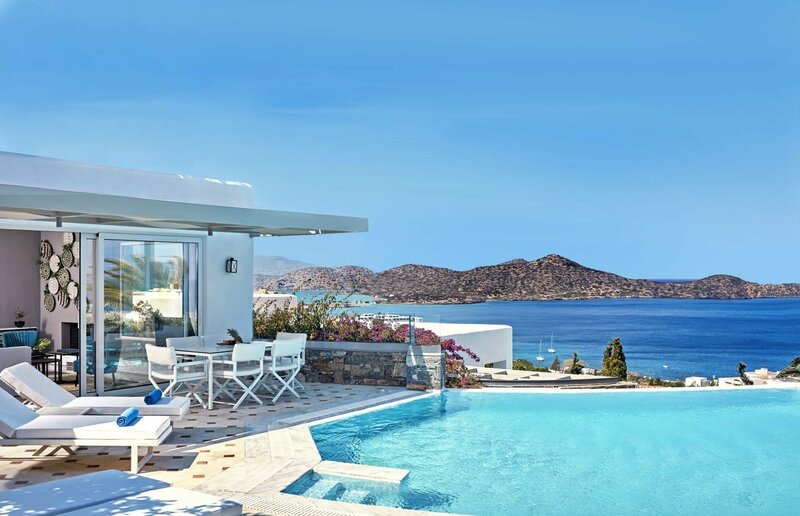 Choosing a luxury villa in Elounda means you can indulge in phenomenal sea views every day, which is highly desirable during the summer. From there, you can explore Lassithi, its beaches, its plateau and even the elusive the islet of Chrysi. During the winter months, choosing a city location is more advised, and although the beaches may not be an option there are plenty of things to see and do. Crete has a local gastronomy of its own that is renowned throughout Greek destinations and considered as one of the best regional cuisines of the nation. It has countless archaeological sites, mountain villages and hinterlands to discover making it a splendid destination throughout the year. I traveled to Greece many years ago. 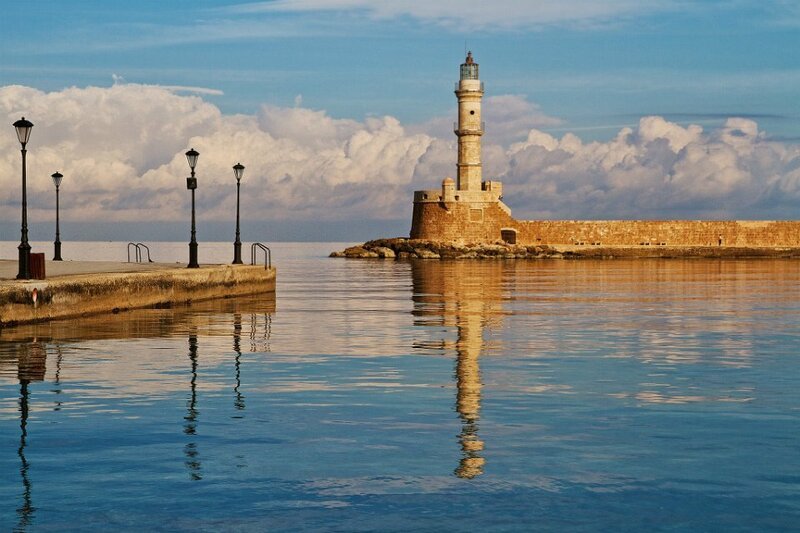 I would love to visit again and Crete would be my first stop. Great photos! Greece is indeed the stuff that dreams are made of. Greek history and culture has always fascinated me and Athens is a place that I would love to visit. The islands of Corfu and Crete too look so charming. This is a fresh perspective of the destinations in Greece, which speaks of places other than islands like Santorini. Sooo I’m pinning this article. I’m trying to decide my stops for 2019 and after reading this…Greece is back on top! Your pictures are stunning as always. I’ve yet to go to Greece but I’m almost overwhelmed by all of the destinations I should visit. There’s so much to see and it all looks so beautiful.